When The Swarm hit movie screens in the summer of 1978, it represented the last gasp for that era’s disaster flicks. 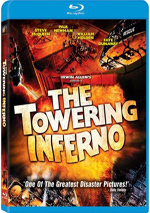 With films like The Towering Inferno and The Poseidon Adventure, producer Irwin Allen established a solid formula for big-budget, star-studded spectaculars, and the pictures did good business. Disaster films enjoyed a resurgence in the Nineties as movies like Twister and Titanic struck box office gold. However, those movies lacked the star power to match up with the Allen formula. Though in the same vein, 1996’s Independence Day wasn’t a traditional disaster flick. While it included a prominent cast and lots of destruction, classic disaster offerings needed some sort of natural force, whereas the mayhem in ID4 came from extraterrestrial sources. Still, it was fun to see a resurgence in the genre. I retain a definite affection for the flicks from the Seventies, as I grew up on them and avidly followed them. The Swarm was the last one that excited me, at least before I saw it theatrically. Unfortunately, despite my love for the genre, I didn’t care for The Swarm in 1978. Nonetheless, when I got the opportunity to see it again decades later, I jumped at the chance. Maybe I’d appreciate it more as an adult than as a kid. At the very start of the film, we learn that millions of bees attacked a military installation and are heading southwest. Expert entomologist Brad Crane (Michael Caine) immediately pounces on the situation, and his ideas of how to deal with the situation meet resistance from military chief General Slater (Richard Widmark). However, the president authorizes Crane to use whatever tactics he deems necessary, so the general must acquiesce. Crane and Slater quickly meet a survivor of the attack, Dr. Helena Anderson (Katharine Ross). After they split the military base, the swarm flies toward Houston, and that takes them through little Marysville, Texas. 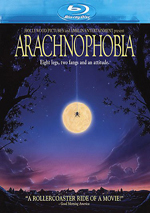 First they polish off the Durant family while on a picnic, and nly young Paul (Christian Juttner) survives, though he’s left horribly traumatized by the event. The other townsfolk slowly learn of the threat as well and eventually need to evacuate. And the bees keep a-coming! All of Crane’s plans can’t stop them, and they buzz straight through Marysville. The insects take down a number of other spots all as they continue on their bee-line to Houston. The critters remain immune to the usual pesticides, and their venom possesses much stronger toxins than normal, so only two or three stings can kill. Will Crane and his crew finally find a way to stop them once they reach the big city? Or here’s a better question: who cares? The Swarm offers a film of stunning incompetence. The military puts up a roadblock to stop the bees, and patients who go into cardiac arrest receive no medical treatment to revive them. Instead, doctors just look at them and sigh sadly. The worst part is that The Swarm really does waste so much talent. Irwin Allen produced some decent films prior to this, but at least he had the good sense to hire other directors. Here Allen takes the reins himself, and it’s not a pretty sight. Would the film have worked better with another force behind the camera? Perhaps not, but it couldn’t have been any worse. The actors don’t help. The Swarm provides an almost absurdly-long roster of Oscar winners: Caine, Henry Fonda, Olivia de Havilland, Ben Johnson, Lee Grant, and José Ferrer all took home acting trophies at some point in their careers. In addition, we find talents such as Ross, Widmark, Fred MacMurray, and Slim Pickens. All lower themselves to the level of the material and overact relentlessly. Caine feels like the worst offender, as he screams and spits most of his lines whether they merit that treatment or not. Perhaps he simply couldn’t believe he agreed to star in this dismal clunker and took out his self-loathing on the dialogue. I could continue, but why bother? The Swarm is a disaster of a disaster film. From the stiff and stupid characters and stilted dialogue to the laughable action and silly techniques, the movie seems almost impossibly campy and cheesy. I didn’t think they made films this terrible. Note that this Blu-ray of The Swarm features an unrated “international theatrical version”. Since I hadn’t seen the original in decades, I can’t personally comment on the differences between this one and the US release. The “international” edition runs an extra 40 minutes, though – that’s a lot more bees! The Swarm appears in an aspect ratio of approximately 2.35:1 on this Blu-ray Disc. While the movie showed its age, the transfer seemed to replicate the source reasonably well. Sharpness appeared positive most of the time. Wide shots tended to come across as slightly soft, but those instances seemed fairly infrequent. Otherwise, the image was mostly crisp and distinct. Jagged edges and moiré effects created no concerns, and I saw no signs of edge haloes. Print flaws failed to become an issue, and the movie’s grain structure implied that it didn’t undergo any obvious digital noise reduction. The palette tended toward natural hues with a bit of a lean toward blues, and the disc reproduced these with good clarity and vividness. While the hues lacked much vibrancy, they appeared to reproduce the source pretty nicely. Black levels looked generally solid, and shadow detail was reasonably deep without too much opacity. Ultimately, The Swarm has held up fairly well over the years. In addition, the DTS-HD MA 2.0 soundtrack of The Swarm seemed good for a film of this vintage. The forward spectrum displayed very nice stereo imaging for the music, and effects offered a fine sense of atmosphere and ambience. Elements moved neatly between channels and created a good feeling of place. The various components meshed together in a satisfying manner. Audio quality appeared dated but fine, with speech that remained intelligible and fairly concise. The lines showed a little edginess at times but they usually fared well. Both effects and music appeared accurate enough and they lacked distortion, but they also failed to display much heft. The soundtrack was mastered quieter than usual, so I needed to crank the volume, and even then, I didn’t get a lot of sonic impact. Still, the fairly broad soundfield compensated, and audio quality felt more than adequate despite the lack of real punch. This was an above-average mix for its era. How did the Blu-ray compare to the original DVD? Audio became tough to compare, as the DVD came with a surround version absent here. According to IMDB, the movie went out with four-track stereo, so if that’s accurate, the surround mix from the DVD better replicated the source. In terms of visuals, the Blu-ray became a clear upgrade, as it displayed superior definition, colors and cleanliness. It’s not the best-looking film, but the Blu-ray reproduced it better than the DVD. The lack of the surround audio became a disappointment, though, especially because the DVD’s audio used the rear channels surprisingly well. In addition to the film’s trailer, we get Inside The Swarm, a featurette from 1978. The 22-minute, 12-second program offers comments from actors Michael Caine, Henry Fonda, Patty Duke Astin, Katharine Ross, Richard Chamberlain, Bradford Dillman, Ben Johnson, and Olivia de Havilland as well as stunt man Mike Johnson and stunt actor Loren Janes. Overall, the program maintains a heavily promotional tone and it provides very little insight about the production. The interview bits largely warn of the “reality” displayed in the movie, and we see many movie scenes. Some of the behind the scenes snippets offer some good material, especially when we watch director Irwin Allen frantically shout “More violent! More violent!” during the filming of a train wreck. However, for the most part the show remains pretty lifeless. Since I thought The Swarm stunk when I was 11, I shouldn’t have expected to like it more at 51. Indeed, the film remains a clunker of monumental proportions, and the fact the disc includes an extended version doesn’t help matters, as more isn’t better in a case such as this. The Blu-ray offers pretty good picture and audio along with minor supplements. Even for disaster movie aficionados, The Swarm becomes tough to swallow.